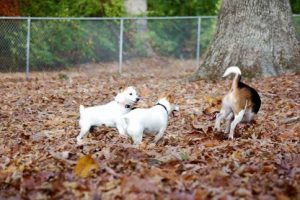 The idea of dog parks as spaces specifically devoted to dog activity developed in California in 1979. Since then dog parks have been spreading throughout the country. The idea to create Shaffer’s dog park started in 2008 by members of the community service dog park board, led by Gale Black. Shaffer’s dog park was not established until 2011 due to many obstacles presented by the town. When the idea of establishing a dog park was presented to the city of Carlisle they were not enthusiastic about the idea. This is because members of the township were skeptical about complications and liabilities involving the dog park. This is why Shaffer’s dog park is not managed by the township but by the Carlisle Area Dog Park Association. As a result the park requires a $50 annual membership so they can increase park revenue since they are not getting monetary assistance from the township. The park requires you to purchase a membership so the owners of the park can also insure the safety of the dogs. Due to the park’s private ownership the town requires Shaffer’s dog park to have their own insurance policy. To avoid liability concerns Shaffer’s dog park requires an in depth registration process which includes proof of rabies vaccine, proof of Bordetella vaccine, and proof of current dog license. The park includes areas for shade and in the fall many trees provide leaves for the dogs to play in set behind a magnetic key fob guarded gate. Shaffer dog park is divided into sections including a small dog park for dogs under 30 lbs and another section for the large dog section above 40lbs. Lastly the park also is involved with charity events such as Feed the hungry pets program.